Kolkata police commissioner Rajeev Kumar at the CBI office in the city on Monday. ST File photo. 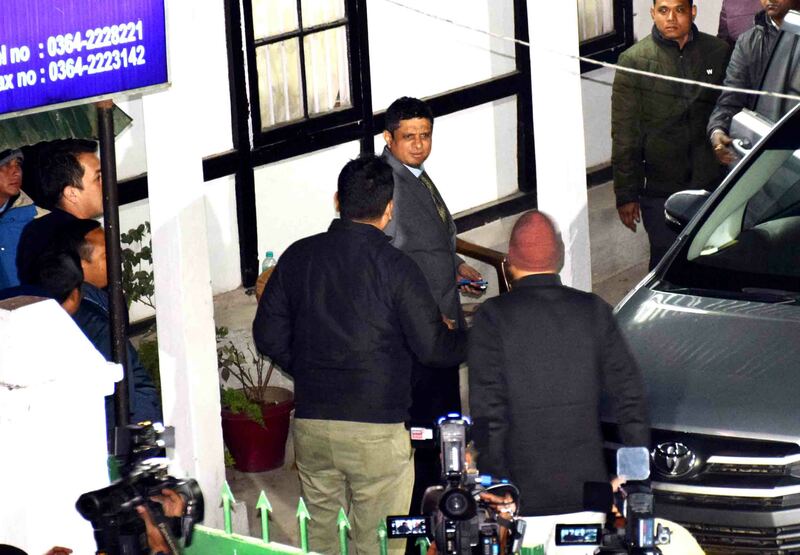 SHILLONG: The questioning of Kolkata Police Commissioner, Rajeev Kumar began for the fourth consecutive day on Tuesday at the CBI office here. The process started at 11 am after Rajeev Kumar had arrived at the CBI office here at 10.45 am. He is being questioned by the CBI in connection with Saradha Chit Fund case. CBI officials are reportedly questioning Kumar on matters related to the investigation earlier carried out by the special investigation team (SIT) into the chit fund case of which Kumar was an important part. The Supreme Court had recently directed Kumar to appear before the CBI and “faithfully” cooperate with the investigation into the Saradha chit fund scam. The court had decided on Shillong as the venue for the questioning — being a “neutral” place — after the stand-off between Kolkata Police and CBI in Kolkata earlier this month when a team from CBI had arrived at the official residence of Kumar in Kolkata all of a sudden. Kumar in course of questioning claimed that most of the probe was supervised by Arnab Ghosh, the then deputy commissioner of police of the detective department (DD) of the Bidhannagar City Police when the SIT started conducting the investigations into the scam, the source said.